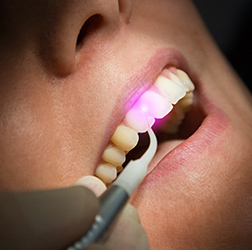 Advances in laser dentistry are making treatment for a variety of dental problems quicker, more effective, and more comfortable for you than ever before. 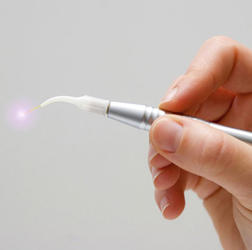 At our dental practice, you can find laser dentistry technology designed to enhance a range of procedures. Dr. Shlafer has undergone the special training necessary to provide treatment with PerioLase® and other laser procedures. A True Alternative To Gum Surgery! Dr. Shlafer and his team are the area's highest rated and referred LANAP® dental office. Our staff is dedicated to putting your comfort and needs first, which is why our patients continue to rate us a 5 out of 5, year after year! 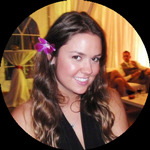 When choosing a Dentist to help treat gum disease, experience, compassion, and expertise are of the utmost importance. At the office of Dr. Roman Shlafer, we are proud to specialize in LANAP® laser therapy, the minimally invasive, FDA-cleared, gum surgery alternative. Dr. Shlafer and his team truly understands the physical and emotional transformation you can experience with beautiful teeth and an incredible smile. We would love to talk to you about restoring your dazzling smile, so give us a call today and we’ll setup your FREE, NO-OBLIGATION consultation. Although gum disease can be debilitating if left untreated, many people do not seek treatment because of the pain and lengthy recovery times associated with traditional periodontal surgery. However, Laser Periodontal Treatment™ (LPT™) is revolutionizing periodontal surgery and is now available at our dental office. 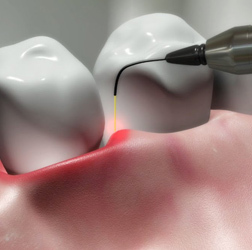 This breakthrough in laser dentistry makes the gum disease treatment procedure virtually painless. LPT™ utilizes the PerioLase® laser by Millennium Dental Technologies, Inc., the only FDA-approved laser for periodontal surgery. Of the millions who suffer each year from gum disease, few actually seek gum disease treatment. This is dangerous because not only can gum disease harm your teeth and gums; it can lead to more serious illnesses. Without gum disease treatment, patients may experience further complications such as heart disease, pancreatic cancer, diabetes, and low birth weight in their offspring. Luckily there is no need to fear gum disease treatment anymore. A new procedure known as the Laser Assisted New Attachment Procedure (LANAP®) eliminates the need for cutting and stitching tissue. With LANAP® gum disease treatment, there is less pain and less bleeding than with previous, outdated methods. Finally, you can seek treatment without fear of all the negative side effects. LANAP® is a form of laser gum surgery that does not cause harm to your healthy tissue. Traditional methods of gum disease treatment use scalpels to cut away diseased tissue and often leave behind lots of collateral damage. Laser gum surgery is a much less invasive option. We are now able to remove bacteria with a highly selective laser that does not harm your bone or healthy tissue. Because of this, there is less pain during and after the procedure. The secret to the success of LANAP® laser gum surgery is the PerioLase® MVP-7™. This is a highly intelligent laser that is able to differentiate between your healthy and diseased tissue. With the PerioLase® MVP-7™, we can remove bacteria from the area without harming your healthy gum tissue. LANAP® is the only FDA-cleared method of laser gum surgery on the market. It is also the only laser gum surgery that has been proven effective through years of scientific studies. To put it simply, LANAP® laser gum surgery is the highest quality gum disease treatment on the market. LANAP® laser gum surgery works by targeting bacteria and diseased tissue and removing them in a non-invasive way. The laser is able to distinguish between your healthy tissue, which is a lighter color, and your diseased tissue, which is a darker color. Due to the precise nature of laser gum surgery, there are very few side effects. 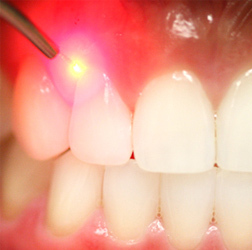 The first step in laser gum surgery is to numb your teeth. Then you are given a small amount of local anesthesia so that there is no pain or discomfort during the procedure. Once the anesthesia takes effect, a small fiber is placed between your tooth and gums. This is done to measure the depth of the periodontal pockets and determine how much loss of attachment has occurred. Then a laser is used to remove your diseased tissue from the pocket and kill bacteria. The laser is not absorbed by water, bone, or your healthy tissue. This how laser gum surgery reduces pain and discomfort. The laser itself cannot remove calculus from the surface of your tooth; however, it can help to loosen it. 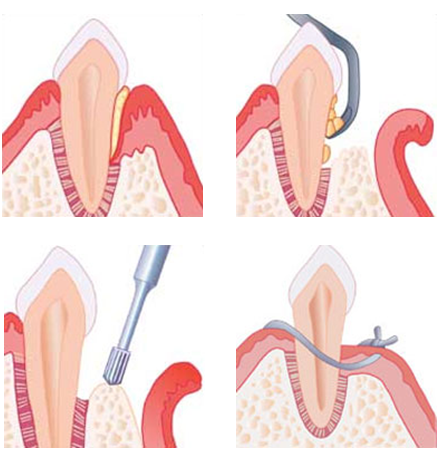 Small ultrasonic scalers are used to complete the removal of calculus. Then the laser is used once more at the bottom of the pocket to stimulate your bone and tissue regrowth. This also causes the blood to clot and form a tight seal around your tooth. Laser treatment, in this way, is able to reduce bleeding and create a safe and stable environment for your healing. The next step in laser gum surgery is to recompress your tissue against the surface of your tooth. This is done without the use of sutures. Once the laser gum surgery has been completed, we will examine and adjust your bite. This is to make sure no trauma has been done to any of your teeth. Laser gum surgery is widely seen as the highest quality of care in the area of gum disease treatment. Although there is no need for pain medication, it is recommended that you take Tylenol at regular intervals. One to two Tylenol every six hours for the first day following laser gum surgery is advised. The LANAP Procedure has been proven to regenerate lost bone and supporting tissues so teeth are more stable. If you have not already decided that laser gum surgery is the best option for improving your gum health, you probably are not familiar with all the advantages. Most patients prefer laser gum surgery, because it is less invasive and does not disrupt your daily life. This is because the laser operates at a wavelength that does not disturb your bone or healthy tissue. LANAP® does not require the use of a scalpel or sutures. For the first time ever, with laser gum surgery, we are able to remove diseased tissue from your periodontal pockets without any collateral damage. Laser gum surgery is less painful than traditional gum surgery, because it does not use a blade or sutures. There is no cutting of tissue. LANAP® is able to remove only the bacteria and diseased tissue without harming your bone or healthy tissue. 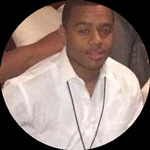 Because no healthy gum tissue is removed from the area, there is less recession of your gum line. This is important because gum recession can lead to a number of health and aesthetic problems. Your teeth can become sensitive to extreme temperatures and also susceptible to decay. Because laser gum surgery is less invasive than traditional methods, the period for healing is much faster. The laser kills bacteria in your pockets to reduce inflammation and improve your overall gum health. There is no need for pain medication following laser gum surgery. This means that you can often continue your routines the same day. With laser gum surgery, there is a lower risk of infection. This makes long-term results more predictable and less risky. Although most patients are candidates for laser gum surgery, not all are. To find out if you are a candidate for laser gum surgery, contact Dr. Shlafer today.